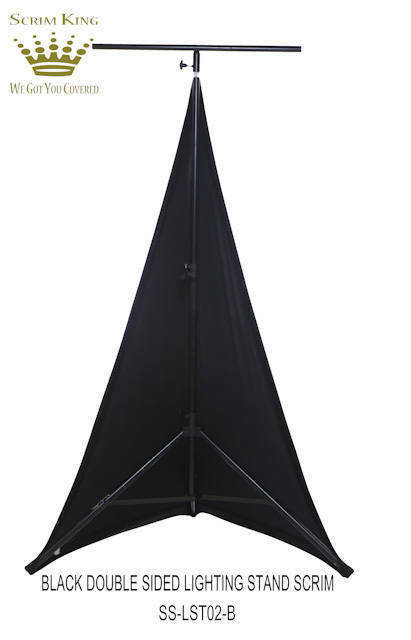 Black Triangle Scrim to cover medium duty lighting stands. Stretch factor: Height 7 ft. to 11.5ft. 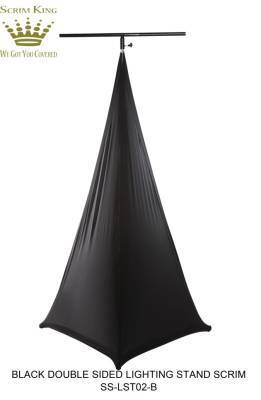 Bottom feet: 4.3 ft. 5.5 ft.
*Please note, this is final stock. The Scrim King line of product will no longer be carried at Long & McQuade. Who the hell talks like that? Yo. The skrim is King yo! You gotta Skrim this like it aint no thang son!